A farming charity has paid a visit to Abingdon and Witney College agriculture students to warn them about the hazards faced by farmers. 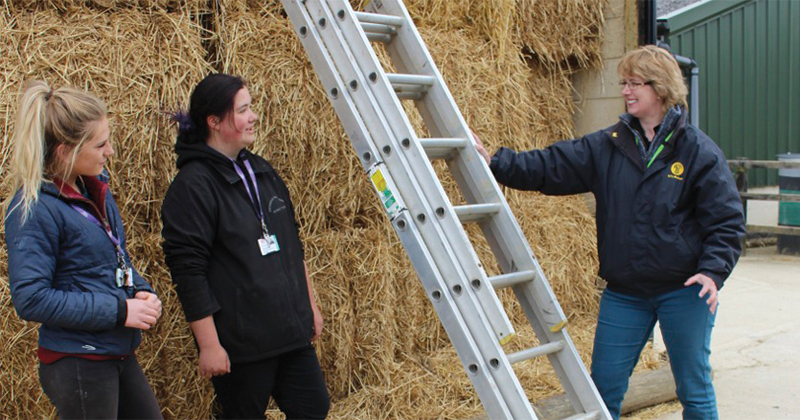 Over 70 students attended the talk, which included practical demonstrations on hazards such as being crushed by livestock, falling from ladders (demonstrated above), unsafe practice with a chainsaw and limb entrapment in a tractor. The talk was given by the Farm Safety Foundation after figures from the Health and Safety Executive revealed that 15-20 per cent of worker fatalities happen in agriculture. 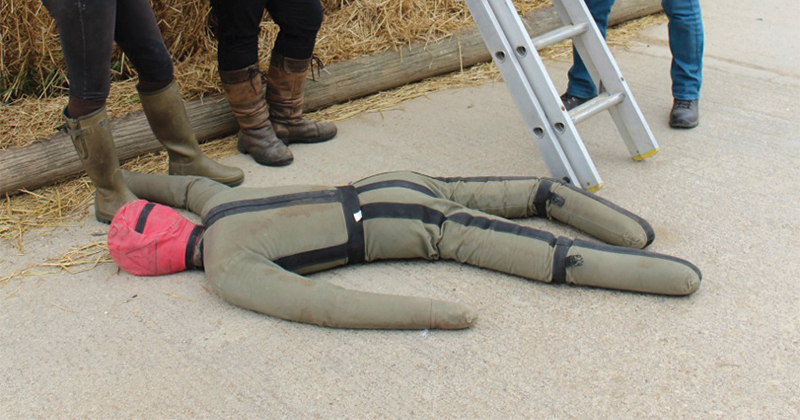 “I found each of the four safety sessions very informative and interesting,” said Antony Davis, who is studying the level two agriculture course.